Yes I am currently updating in class again but I CANNOT HELP IT!!! 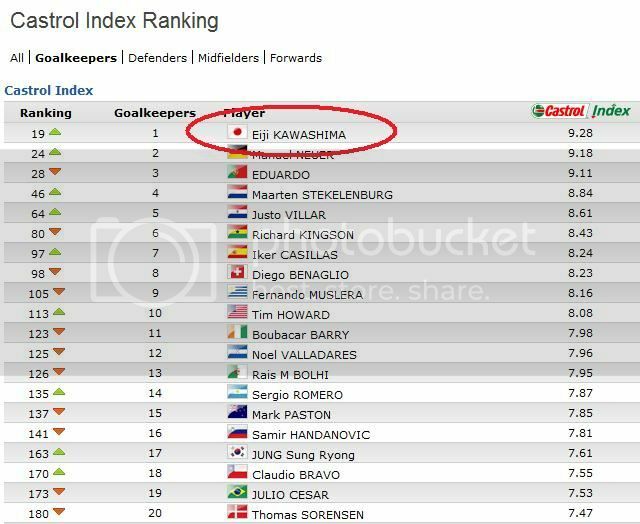 KAWASHIMA'S NAME IS AT THE TOP OF THE LIST!!! 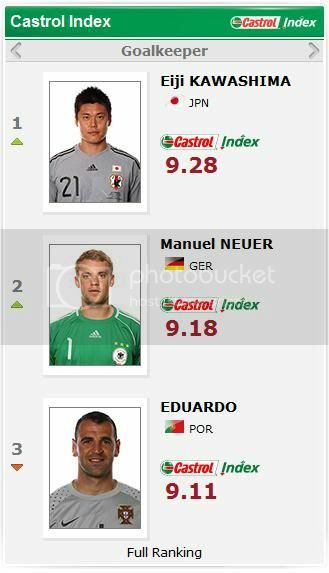 HE IS RANKED NO.1 GOALKEEPER IN THE WORLD CUP RANKING!!!! I knew I like the right guy!!! Muhahahahahahahaha!! I really hope that Kawashima can get to shine there! And of course hopefully I can get to watch some of the matches too.. I can't help but worry about him.. But since it's Kawashima I'm sure he'll be fine! !